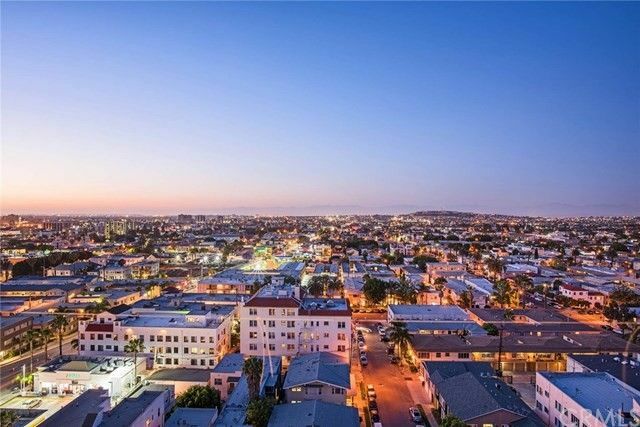 Located in Long Beach's most demanded beach front high-rise,"The Pacific", this fully remodeled home is sure to impress. Must see,commanding 14th floor views of Downtown LA,Mountains and the sparkling city lights all the way from Santa Monica to Orange County!This rarely available Amalfi model offers a rare 2 balconies,fantastic open floor plan with fully remodeled galley kitchen with custom mocha cabinetry, granite counter tops,stainless appliances and more!The open kitchen also has a breakfast bar area.There is a inside private laundry area for this home as well.The Custom tiled flooring throughout is gorgeous and the owner has installed a stunning custom built in office area and custom built in closet system in the master to compliment the walk in closet for plenty of storage.The bathroom has been remodeled with granite counter tops and has a relaxing Jacuzzi tub as well! The interior is done in a tasteful designer color palette and the high ceilings and full floor to ceiling windows/sliders really take advantage of the amazing views that will greet you as soon as you open your front door.This fantastic residence sits right below the Penthouse level and comes with 2 parking spaces and additional storage!The Pacific offers:24hr guard,onsite manager,onsite maintenance staff,rec. room,pool,spa,Internet and TV included,BBQ area,fire pit,gym,sauna,private beach club with direct access onto the sand and sits on the prestigious Ocean Blvd. !The lifestyle is fantastic.FHA approved.